RRB ALP, Technician Posts Admit Card 2018, Exam dates: Railway Recruitment Board (RRB) has released the 2nd stage CBT admit card for ALP & Technician posts. Candidates can check the official websites of regional RRBs like RRB Ajmer, RRB Patna, RRB Mumbai and other sites to download the admit card after it releases. As per sources, the admit card for the January 21 examination is to be activated after 10 am on the various regional RRB websites of RRB Allahabad, RRB Mumbai, RRB Ajmer, RRB Bangalore, etc. Railway Recruitment Board (RRB) releases the 2nd stage Computer Based Test admit card at the official sites of regional RRBs. Candidates who have cleared the first stage CBT exam and will appear for 2nd stage CBT can download the admit card from the regional RRB sites- rrbmumbai.gov.in, rrbald.gov.in, rrbajmer.gov.in, rrbpatna.gov.in and other sites. The written examination will be conducted from January 21 to January 23, 2019. 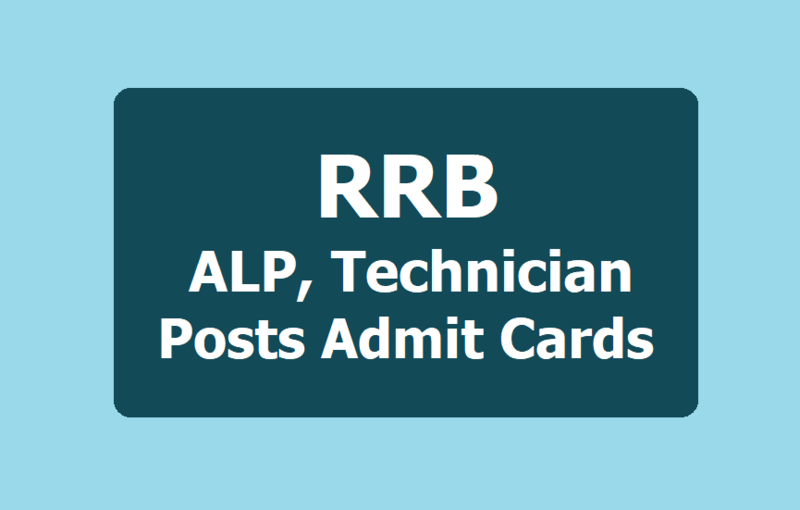 Download RRB ALP Admit Card 2018: Candidates can check the steps to download the admit card below. Visit the official webiste of RRB. Click on the link ‘Stage 2 computer-based test - exam city and date intimation’. Enter the login credentials. Check and download the admit card. Keep a hard copy for further reference. Candidates who will appear for the examination can check the official site of regional RRBs to download the admit card after it releases. Step 1: Candidates have to visit the official website of regional RRB. Step 2: Click on the link available on the home page of the site as ‘Stage 2 computer-based test – exam city and date intimation’. Step 3: Enter the user id and user password. Step 4: Your admit card will be available on your screen. Step 5: Check the admit card download it and keep the hard copy of the same for further reference. RRB ALP & Technician 2018 exam will be conducted to fill up 64,371 posts out of which 27,795 assistant loco pilot posts and 36,576 technician posts. The mock test link is already activated for the candidates to appear in it. The admit cards for all the regions will be available at the regional sites of RRBs.